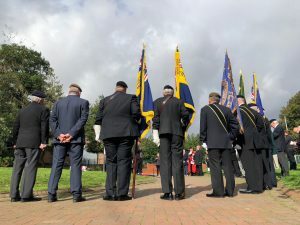 Ykids Bootle are set to launch their ‘Lest We Forget – A Garden To Remember’ in North Park as part of Sefton’s ongoing commemorations to mark 100 years since the end of World War One. For three days, North Park Community Garden in Bootle will be transformed into an emotive garden of remembrance where the community can pause to think, pray and give thanks to those who lost their lives in the Great War. The garden will be open to the public on November 10 (11am-3pm) and November 11 (12pm-3pm) while November 9 will be dedicated as a private day for schoolchildren to come and learn more about WW1. As well as meditation and a chance to reflect on all aspects of the war, there will also be a host of informative and educational activities including history lessons of Bootle’s role in the war, poppy crafting, wreath making and the opportunity to taste trench food from the era. For more information about the Garden please contact Ykids via 0151 944 2111 or visit www.ykids.co.uk.